@NajPotez aaa that looks absolutely amazing! 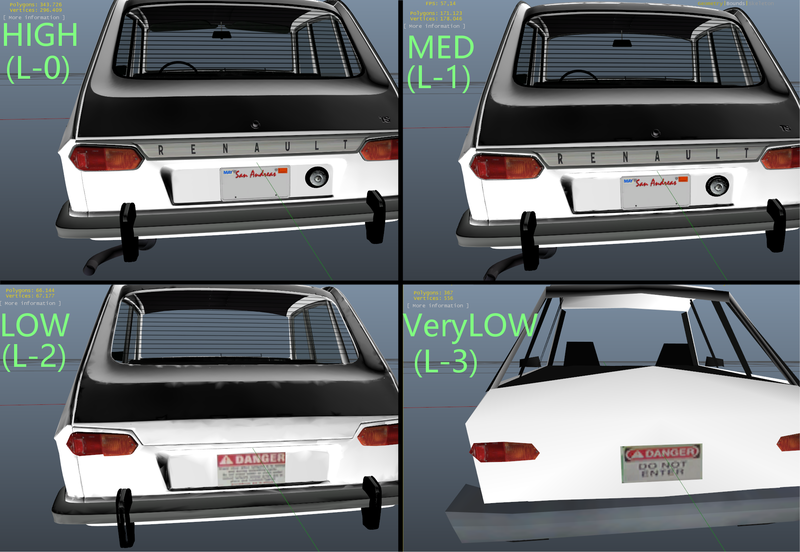 @Arthur-Dent Original GTA5 car models usually have no more but 20k polygons. 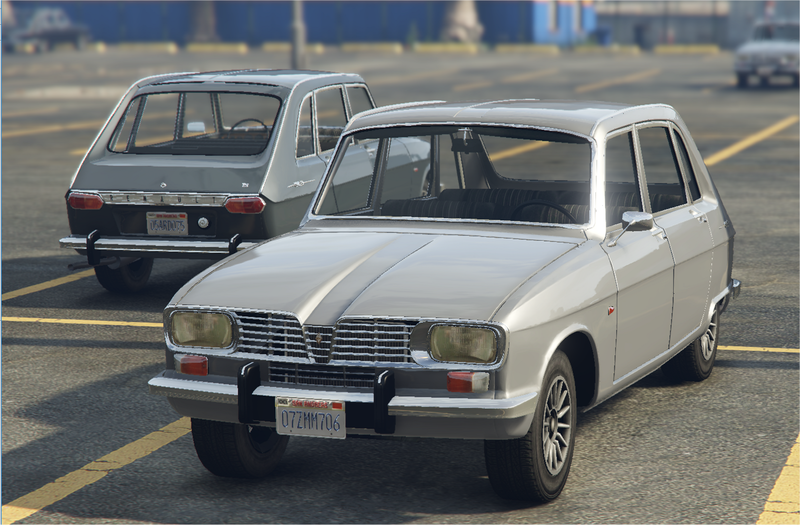 I try to make cars between 100-200 k, but there are models with much more polygons. 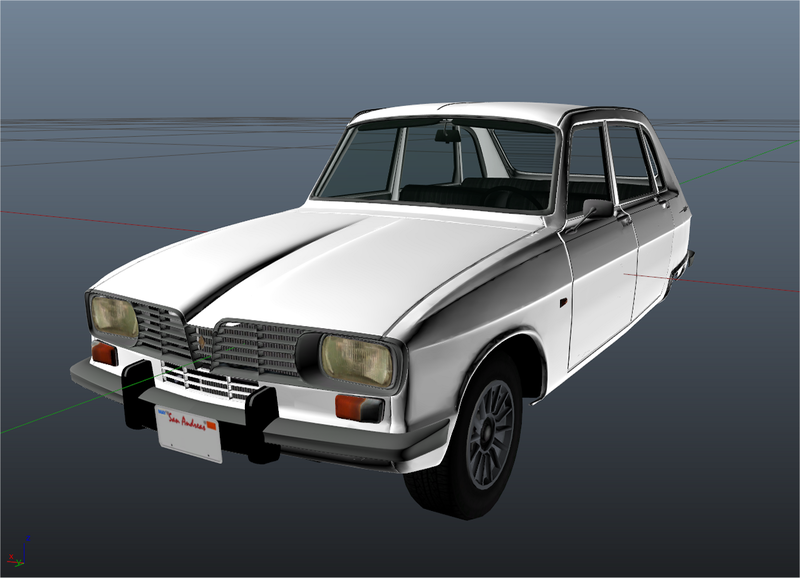 For example, "Renault 12" you can find for download has 689.900 polygons, and has only highest lod.. and it works. I make lods , so I hope it will not crash the game. I test it on my PC and it works fine for now. @GreenAid I hope so. Problem is to link it. I think it is limited. It can be solved with more "miscs"
If you want my opinion, L1 should be a lot lower, way below 100k. Same for L2, it should be closer to half of that amount you have. Also maybe add L3 and current L3 should be L4? @GreenAid Not sure is it ok if the difference between LODs is too big ?!? 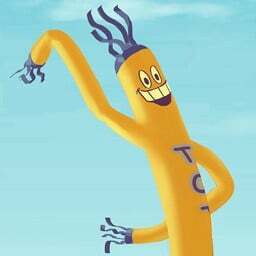 @NajPotez LODs are for performance, doesn't matter the difference between levels. The smaller LODs are, the better. They just need to not look too bad to not break immersion. @GreenAid ok, thanks, ...I guess, I should spend some more time creating some more simple mesh. @GreenAid Usually I do that, but it is far from enaugh this time. Finishing, I hope to publish it till tomorrow. Looks good, idk why you wanted to skip a lod tho.